Sports fans either love Gus Johnson, or they love to hate Gus Johnson. 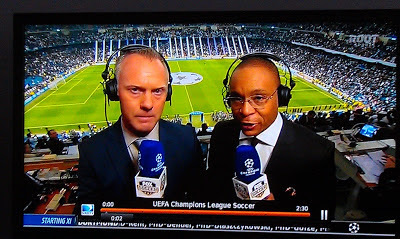 Naturally, opinions were split as Fox pushed Mr. Johnson into football / soccer ... covering the Manchester United / Real Madrid Champions League match this week. Yes, I have a point that relates to e-commerce. More on that in a moment. On air personality, WAAY, Waco, TX. On air personality, WXII, Winston Salem, NC. Weekend Anchor, WTTG, Washington, DC. Minnesota Timberwolves NBA play-by-play announcer. College Hockey and College Basketball on ESPN. Canadian Football League on ESPN2. Radio Play-By-Play, New York Knicks NBA Basketball, and TV broadcasting for the NY Knicks, 1994 - 2010. Yankees / Rangers pre-game host. Pre-Season NFL coverage of the Bills, Eagles, Lions. Voice of EA Sports NCAA Basketball game in 2010. Voice of Madden NFL11 and NFL12 video games. Buffalo Wild Wings commercial announcer. March Madness College Basketball announcer on CBS. Big Ten Network College Basketball announcer. Radio announcer for San Jose Earthquakes soccer team. Does your resume look like that? Mr. Johnson isn't even 50 years old yet. In our world, we keep hearing about specialists ... folks who know everything about 3% of a business. This is like being Gus Johnson when he covered the Canadian Football League on ESPN2. You have tremendous depth, but only in a tiny slice of the world. Mr. Johnson pushed his career in areas where he had no experience ... he gained experience ... and then moved on to new challenges. This allowed him to gain a breadth of experience that few can match. Even if you love working in a tiny niche of the total ecosystem (and that's fine), obtain varied skills within that niche. If you're the PPC expert at your company, go sit down with a merchant and learn about the products your customers purchase. If you are the social media ninja, sit down with your finance team and learn how to calculate profit. If you are the digital marketing specialist, sit down with your inventory management team, and learn how they measure success. If you are the web analytics guru, spend time with your IT team, and learn how they structure databases. In almost all cases, it is beneficial to gain merchandise knowledge. More than half of my projects in the past six months illustrate challenges with merchandise and product development ... increasingly, channels are not the reason for success, but instead, merchandise is the cause of success or failure. Maybe it's always been this way, huh? 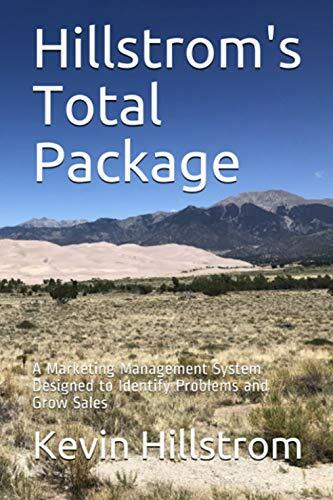 Learn how to measure merchandise performance ... new items, existing items, discontinued items, category performance ... it all matters, and matters more than the performance of marketing channels. Use Gus Johnson as an example of building a diversified resume, resulting in an announcing assignment at the highest level - Champions League Soccer. Notice that he did multiple jobs at the same time - use that as an example for how you might manage your career. Maybe you need to have a small, part-time job that compliments your skill-set. All very nice for Gus, but for those of us who have to listen while he learns it is very frustrating. The real offender is not Mr. Johnson who is just trying to get a better gig, but the Fox Soccer folks who don't seem to care about the quality of the product they are peddling. I listened to Gus' radio commentary of the Arsenal vs Bayern Munich game and he sucked. The job of the commentator is to paint a picture to his audience. Clearly, Gus has no clue as to strategy and tactics so he could not explain what was happening in the game. Yes, he told us when a goal was scored, but failed to explain how it happened. Much of Gus' commentary was spent incessantly telling the audience that Arsenal had lost their most recent game to a much weaker opponent. Anonymous - did you get the point of the blog post - that I was talking about career development and how it might be important to obtain skills in a varied number of areas? Or, did you search on Google for information about Gus Johnson and arrive here, frustrated? Frustrated yes. Searched Google for a forum to express my frustration, yes. But one point I made that it seems you are ignoring is that Mr Johnson and Fox have a responsibility to their customers to deliver a decent product. As I said in my earlier post, very nice that Gus gets to develop his skills, but doesn't he have a responsibility to study the subject matter? Imagine commentating an NFL game by explaining that Manning threw the ball to Smith without explaining the context of the play. Mr Johnson, I believe has the responsibility to learn tactics and strategy otherwise his Fox Soccer experiment will short lived. You made your point, thanks. You and I are talking about completely different topics. Good luck with your search to find a forum to air your grievance.